For the discerning homeowner who cherishes the privacy of living in a landed home with the added convenience of amenities. Largest Strata Landed Project in Singapore! Where Lush Greenery & Space meets the Conveniences of a Matured Estate! A new report has come up with some surprising findings on price gains in the various types of properties in the rarefied landed housing market in Singapore. For instance, freehold non-strata houses – those with individual land titles – may be the most commonly sold type of landed housing, but they are not the fastest to appreciate in value. The report released yesterday by SLP International found that during the market boom from the first half of 2004 to the first half of 2008, values of freehold cluster homes, or strata landed homes, rose faster than the other three landed property types. They are freehold non-strata landed, 99-year leasehold strata landed and 99-year leasehold non-strata landed homes. In the subsequent market boom, from the first half of 2009 to the second half of 2013, capital values rose the fastest for 99-year leasehold strata landed homes, the report found. Over both market booms, freehold non-strata landed homes came in second in terms of the speed of price appreciation. The price gap between strata and non-strata terraced homes was analysed according to their respective land tenure groups. The median transacted prices of strata terraced houses were generally higher than those of non-strata terraced houses on an absolute value basis. Also, cluster housing projects are led by developers, which would look for ways to maximise prices per unit, he added. Homes with individual land titles may be built by individuals. Over the past 11 years, the median prices of 99-year leasehold cluster homes were on average $329,205 more than those of non-strata landed houses with the same tenure. The median prices of freehold cluster houses were on average $110,147 more than those of freehold non-strata landed homes. Among 99-year leasehold terraced homes, median prices of strata homes were consistently higher those of than non-strata ones. 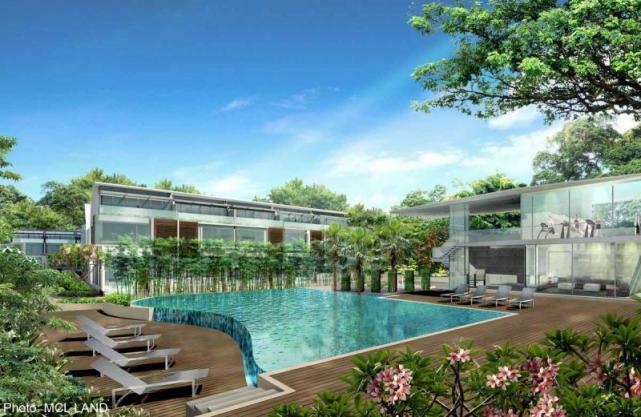 The price gap between the two widened to about $1.5 million in the second half of 2007 due to the launch of the 163-unit Hillcrest Villa in Bukit Timah, but this gap later narrowed. Among freehold terraced homes, the price gap was reversed in 2011 and 2012. This could have been due to the relatively lower proportion of subsale transactions for strata terraced homes, said Mr Mak. Median prices of subsale transactions are typically higher than those of other types of sales, including new sales and resales. In the first market boom, the median price of freehold cluster homes rose at an annualised 15.4 per cent, or a whopping 77.3 per cent over the four years – the fastest among the four landed home segments, the report found. For example, a terraced home in freehold cluster housing project Casa Fidelio in Siglap sold at $760,000 in 2004. It was resold at $1.18 million in 2008, or a 55 per cent gross profit. But the group with the slowest price growth during the four-year period was 99-year leasehold non-strata landed homes, at a 7.7 per cent per annum price growth. “(This) is partly due to the relatively high median price of $435 psf at the start of the market boom,” Mr Mak said. In the second market boom, the median price of 99-year leasehold cluster houses surged the most, at 20.1 per cent a year, from $357 psf to $813 psf. The price gap between 99-year leasehold strata and non-strata terrace homes momentarily widened to about $1.5 million in the second half of 2007 due to the launch of Hillcrest Villa (above) at Bukit Timah.